Minor illnesses and ailments don’t need to ruin your enjoyment of summer. Our pharmacies are here to offer you guidance and treatment – often free of charge – and could save you a trip to the GP. 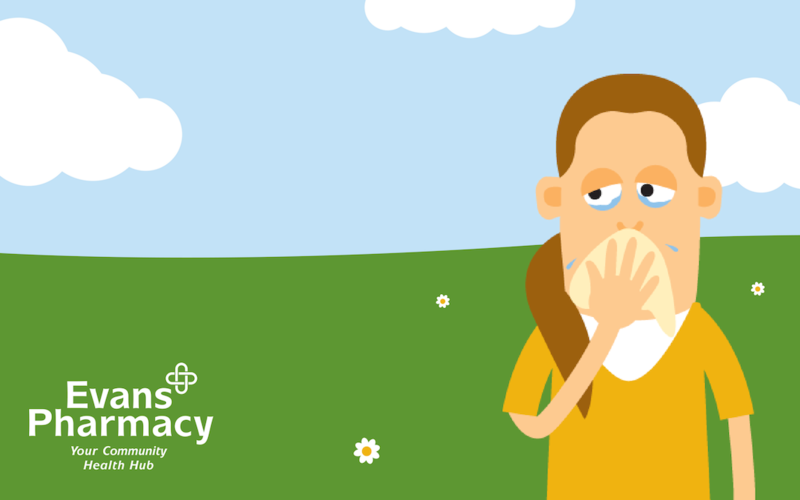 Last week we looked at how you can spot, avoid and treat five of the most common summer ailments – indigestion, constipation, vaginal thrush, hay fever and dry eyes – this week we’re looking at five more. Please note that some ‘minor’ illnesses can be more serious in children, older or pregnant people, and those with pre-existing conditions. If you’re at all concerned, please speak to your pharmacist or GP. Skin rashes can be especially prevalent in summer, and one of the most common causes is contact dermatitis – a type of eczema causing dryness and itching. It may be caused by an irritant i.e. a new soap or detergent, or by an allergen: a substance that your body reacts to in a way that affects the skin. Skin can become red, blistered or dry, but it usually clears up once you avoid the substance that is causing it. It’s also a good idea to avoid traditional soap which tends to dry the skin out. Your pharmacist can also advise you on appropriate moisturising cream or ointment to treat the itching. This fungal infection causes flaking and itching, usually between the toes. Despite the name, it isn’t confined to athletes. You’re most likely to pick it up from walking around a wet area, such as a swimming pool, barefoot, or wearing sweaty trainers which provide the ideal climate for the fungus to thrive. Athlete’s foot can spread to other parts of the foot and around the body, so it’s important to treat it early on with antifungal cream, spray or powder, all of which your pharmacist can advise on. To stop it coming back, keep your feet clean and dry, don’t share towels, and change your socks regularly. A verruca is a kind of wart on the foot, caused by a virus. It is spread from person to person usually by walking barefoot, for instance and at the risk of completely putting you off swimming, around a pool. Verrucas can be painful, so ask your pharmacist about recommended creams, plasters and sprays, but be aware the treatments can take several months and don’t always work. If you get one, make sure you change your socks daily, cover it with a plaster if you go swimming, and don’t walk anywhere barefoot – the virus could be picked up by somebody else, even though it could take months to appear. Diarrhoea is usually caused by a stomach bug, is common on holidays, and can last up to a week. It’s important to stay hydrated if you have diarrhoea, so drink plenty of fluids – though you’re best off avoiding fruit juice and fizzy drinks as they can make it worse. Because the bug can spread easily, up to two days after your symptoms have passed, wash your hands thoroughly and regularly, and clean toilet seats, flush handles, taps, surfaces and door handles. If possible, don’t prepare food and drinks for other people, and don’t share cutlery or towels. Your pharmacist can advise about rehydration sachets and other medication to help recovery and provide special advice for young children and babies. Sore throats are typically caused by viruses, but they’re not usually serious and will go within a few days. You can soothe a sore throat by drinking, or sucking on ice cubes, lollies or hard sweets. You should avoid smoke and smoky places. Painkillers like paracetamol or ibuprofen or throat lozenges, or anaesthetic throat spray may help, and your pharmacist can advise on all of these treatments. That completes our run-down of the top 10 common summer ailments. If you’re affected by any of these conditions or others listed on our website, you may benefit from our free NHS Wales-funded Common Ailments Services. To find out more, visit our Common Ailments Service webpage today.